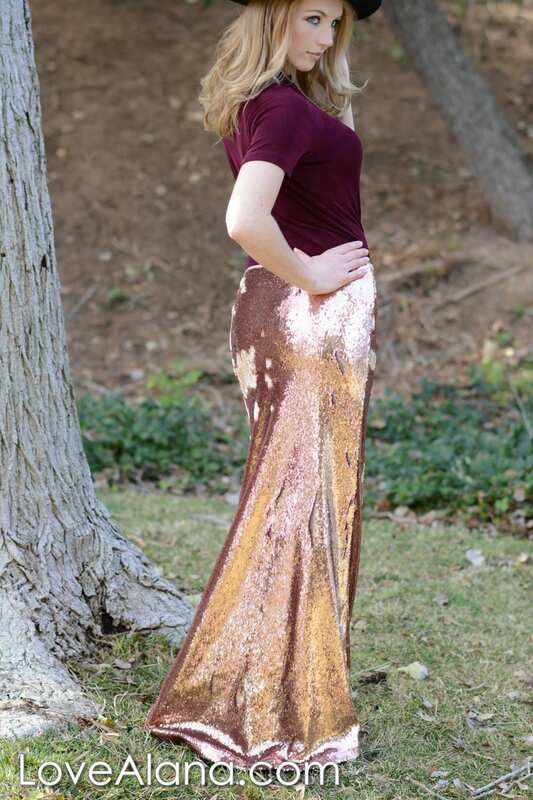 SPRING SALE - RoseGold Flip Sequin Matte/Shiny Sequin Maxi - Gorgeous high quality- Long sequined skirt (S,M,L,XL) runs big. This is a "LOVE,ALANA" original!! It has a matte finish and looks UUUBERRR expensive in person. Definitely a showstopper. I love it sooooo much. 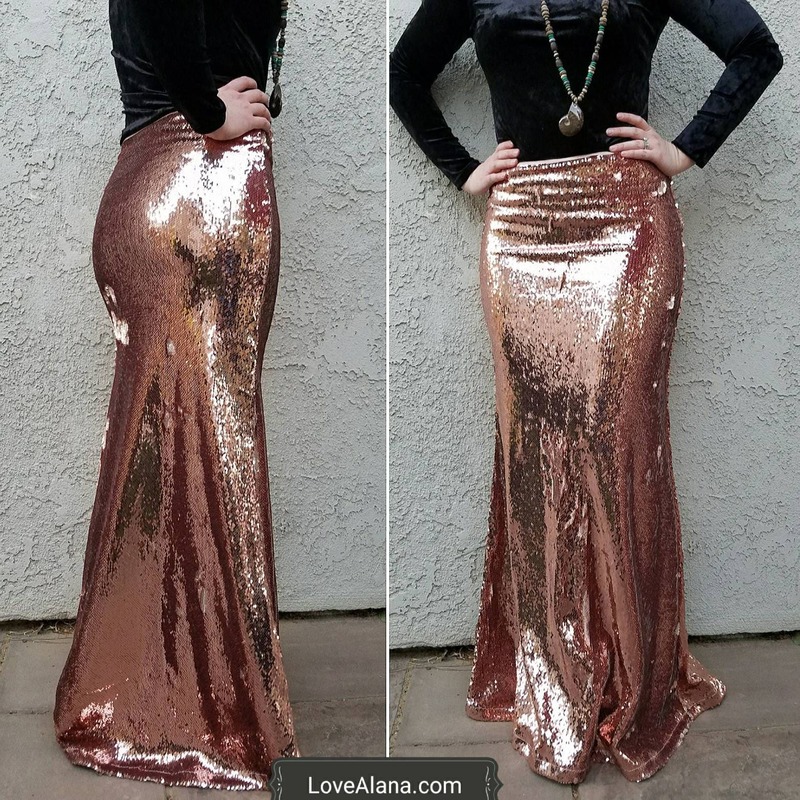 The sequins flip from matte to shiny rosegold.